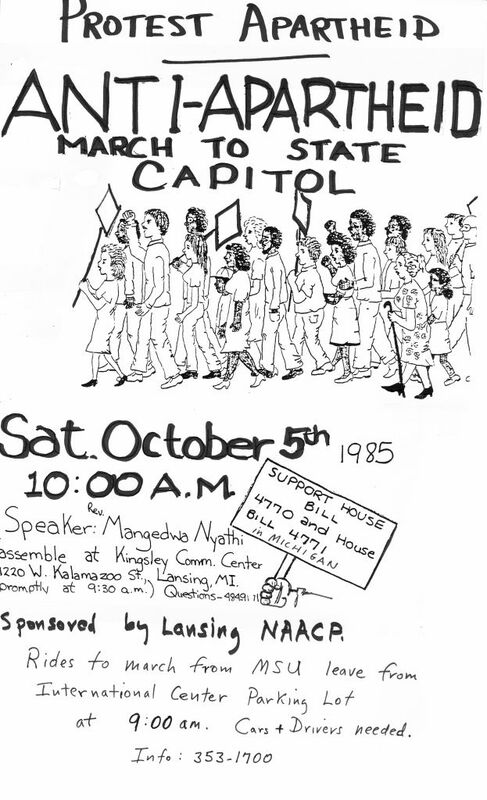 Poster publicizing a demonstration sponsored by the Lansing NAACP to support state of Michigan legislation requiring divestment of public employee pension funds from companies doing business in South Africa. Rev. Mangedwa Nyathi of Detroit is advertised as a speaker. 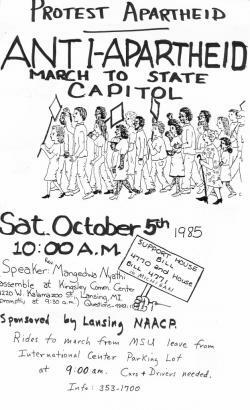 The poster advertised rides available from Michigan State University in East Lansing to this event. Size: 8-1/2 x 14 inches. Used by permission of David Wiley.